Danbury SummerStage announces its outdoor concert series line-up! The exciting live entertainment is every Wednesday July 12 – August 2 starting at 6:30 PM outside by L.L.Bean! Bring a towel, beach chair and enjoy the show! July 12 – British Invasion covers the music from all of the English groups from The Animals to The Zombies, and everything in between like The Beatles, The Rolling Stones, The Kinks, The Who and so much more! Rain date – July 13. July 19 – Six Gun is COUNTRY WITH A KICK, the tri-state area’s premier Country/Rock band. Rain date – July 20. July 26 – The Zoo is back by popular demand performing all your Top 40 favorites and much, much more!!! Rain date – July 27. August 2 – Nine Deeez Nite is THE TRIBUTE band to the 90s. The show keeps the audience rockin’ to songs from Pearl Jam to ‘NSYNC, Snoop Dogg and Nirvana…the fun never stops! Rain date – August 3. Danbury SummerStage returns with an exciting series of beloved children’s entertainers! The series is every Tuesday – 10 AM, July 11 – August 8. July 11– Live, “Captain Barnacle” – The adventurous leader of “The Octonauts”. The interactive event begins with A Sea Adventure Show starring Aaron Noel and Captain Barnacle. Stay after, for a meet & greet, face painting and craft! July 18 – International Drum and Dance Show – Join in….play musical instruments and dance with Conroy Warren and The Dancing Princess Veronica. Also, balloon art and craft. July 25 – Live, “Clifford The Big Red Dog”. The event starts with an interactive show – “Puppy Love”. Stay after for a meet & greet, face painting and craft! August 1 – LIVE, “MADELINE”. Join us for an interactive magic show with – The Great Charlini. After the show, meet & greet MADELINE, enjoy balloon art and craft! August 8 – Live, Curious George. The event begins with a puppet and marionette show. After, join Curious George for a meet & greet, face painting and craft! Rye Rye Playland (NY) – Special Holiday Fireworks Shows, Fireworks on the Pier on these Special Event Days. July 3rd & 4th. 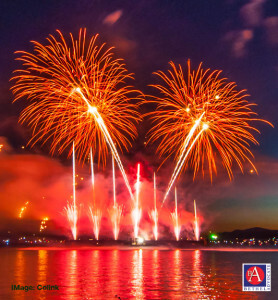 Independence Day Celebration Fireworks Show in Danbury Bay Each year, typically the Saturday before the 4th of July, the Danbury Volunteer Fire Department organizes the fireworks display in Danbury Bay. The fireworks are professionally produced and are launched from just behind City Island in the Bay. Great viewing can be had from land at the Danbury Town Park or via boat. 6:00 PM – 11:00 PM. 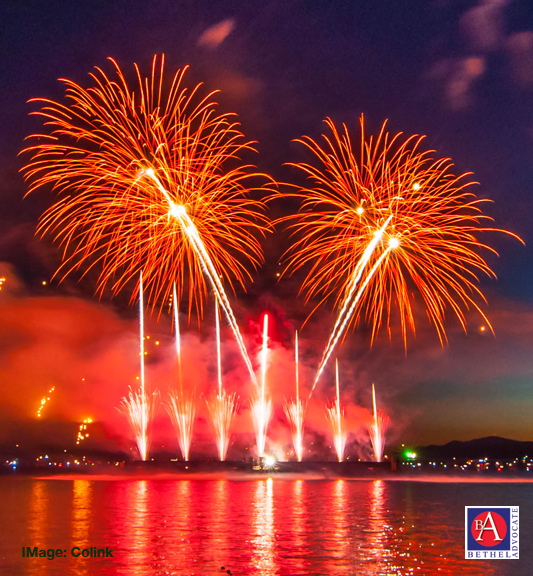 The town celebrates Independence Day with music, food, family fun, and FIREWORKS! Bring a picnic dinner or purchase food at the event. Rye Playland (NY) – Special Holiday Fireworks Shows, Fireworks on the Pier on these Special Event Days. July 3rd & 4th.